Harter Investments: LOCAL Cash Home Buyers in Omaha, Nebraska. Sell My House Fast in Omaha. Some people will tell you that open houses in Omaha don’t really work anymore. But they do – if done right. A memorable open house can be a highly effective marketing tool if it is top notch and, well, memorable. An open house done correctly can help you sell your house fast in Omaha, Nebraska. The idea is to fill your home with genuinely interested potential buyers – not just tire kickers –who will be so impressed with the open house that some of them will submit offers to buy your house fast in Omaha. To help you do that, here are ways to throw a memorable open house in Omaha. Stage it First – Make sure you stage your home to make it look as spacious as possible and ripe with possibilities for a new owner. Have a Sign-in Sheet – Just as with online marketing, you want to capture that valuable personal data – names, phone numbers, addresses, emails – so that you can follow up with those who showed interest. Print Up Flyers – You should have printed beforehand quality flyers to distribute to visitors so they can have all the necessary information in their hands. Time It Right – Potential buyers won’t come if it is inconvenient. So to throw memorable open house in Omaha, it needs to be when people can attend, and that usually means on weekends. Do It When Others Do – It’s also a good idea to hold your open house when other people in the area are throwing open houses. Potential buyers are already out and about and so are more likely to visit your home. Many realtors swear by the first-look strategy as a great way to throw a memorable open house in Omaha. It’s an excellent way to generate buzz because you hold the open house as soon as or right after it hits the market. It works on the principle of exclusivity: people are more likely to come with more interest because they know they will be among those exclusive first few to view your home. It often happens that if you list your home (especially online) and then hold an open house right after listing, your home will sell more quickly and at a better price. Greater exposure and more competition often translate into a better sale price. Another tactic to throw a memorable open house in Omaha is the “extreme” open house. This is an open house event that will set your home and your open house well above similar ones, as well as serving to showcase your home in the best way. 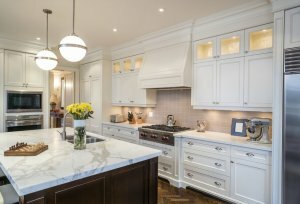 Typically, an extreme open house involves a chef cooking appetizers in your well-appointed kitchen, catered refreshments, entertainment, and/or prizes. The idea is to make prospective buyers feel as though they are getting the VIP treatment. The obvious drawback here is that these events can be very expensive. But they do work, so the expense can usually be justified. Your neighbors may not be in the market for a new home in Omaha, but you should still invite them to your open house. Although you may not want nosy neighbors at your open house, inviting them can pay off in a couple of ways. First, prospective buyers will have a chance to meet your neighbors and so get a feel for the neighborhood. Neighbors with kids in school, for example, can tell buyers all about the local school system. In addition, you never know who your neighbors may invite or bring along with them. You neighbor just might bring a relative or friend who is indeed in the market for a new home. It’s just another way to extend your marketing reach while throwing a memorable open house. So an open house doesn’t have to be the boring affair that a lot of people perceive it to be, but if done right can be exciting, memorable, and highly effective. One word of caution, though: we suggest that you don’t try to do it all on your own. Your local real estate agent can help you plan for and throw that memorable open house in Omaha.